While exploring what happens when microbes develop resistance to pharmaceuticals scientists have discovered that the process bacteria undergo when they become drug resistant can act as a powerful tool for drug discovery. The investigations, reported in the Online Early Edition of the Proceedings of the National Academy of Sciences, highlight the opportunity to substantially increase the number of novel compounds that scientists can extract from individual microorganisms. Whilst laboratories searching for new bacterially synthesized drugs have long known that bacterial genomes have a large number of "silent genes" that hold the key for making drug-like compound, they have struggled to identify the way to switch on the production of these secondary metabolites. 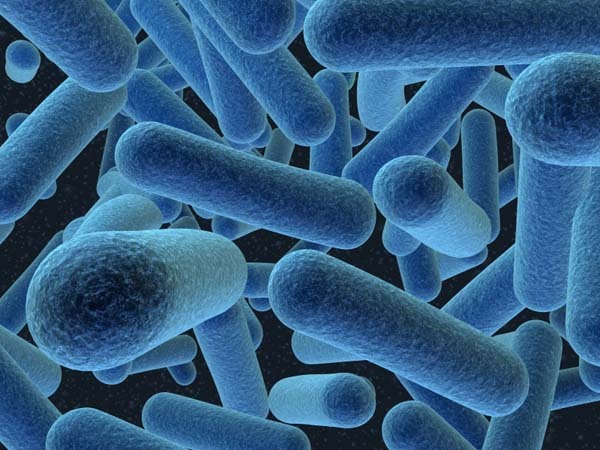 The authors of the research found that strains of antibiotic-resistant bacteria express hundreds of compounds not produced by their progenitors, many of which are potential secondary metabolites: “We think we can use bacteria's antibiotic resistance to intensively mine the bacterial genome for new drug leads", observes Brian Bachmann, associate professor chemistry at Vanderbilt University in Tennessee. "One of the daunting challenges is to rapidly inventory the tens to hundreds of thousands of molecules the bacteria construct to live, and then to read this inventory to understand how the bacteria compensate for their changing circumstances,” said John McLean, assistant professor of chemistry. “To complicate matters further, we are looking for new drug-like molecules, so by definition we are looking for something that has not been seen before". The biochemists started with the well-characterized soil bacterium Nocardiopsis which they exposed to two different antibiotics (streptomycin and rifampicin). They found that less than one cell in a million survived. They then cultured the survivors without the antibiotic and employed McLean's instrumental approaches to profile the drug-like compounds that are produced, with some surprising results. His team has developed methods allowing them to automatically identify and compare the relative uniqueness and the relative abundance of tens of thousands of molecules from which the hundreds of novel compounds were found. They found that the differences were far bigger than anticipated, with the survivors undergoing major mutation, not only in the genes that produce secondary metabolites but also in the housekeeping genes that alter the way they make RNA and proteins. This highlighted that resistant strains produced more than 300 compounds that were not expressed by the original organism, which Bachmann believes shows that the cells are “de-repressing as many of their silent genes as possible” and is a very drastic way to become drug resistant. A total of five compounds in the antibiotic-resistant Nocardiopsis strains were identified that were both unique and abundant enough to isolate, determine their molecular structures and test for biological activity. This work suggests that biosynthetic pathway derepression is a general consequence of some antibiotic resistance mutations. "Normally, we only find one compound per organism, so this is a significant improvement in yield, allowing us to get many new compounds from previously mined microorganisms," highlights Bachmann.